I feel that my standard opening lines are always, "Been a while..." Like my very own "Once upon a time." Okay, so, it's been a while. NYC was awesome--Hedwig even awesomer! My son is in Spain for 3 weeks studying Spanish & Global Business & so it has been quieter at home, but I've been keeping very busy with sailing, of course. And I'm going to write about sailing--now that's been a while! I think this may have been the first year where I haven't waxed poetic about racing & sailing. I guess it is a "goes without saying" by now, but I'm happy to inform everyone that I'm still out there at least 2-3 days a week racing or sailing, or practicing. 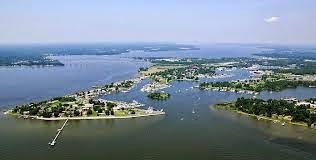 This weekend is an overnight race to Solomons Island. It used to be the feeder race for Screwpile which I won't be doing for the 2nd year in a row--sad but as it is now out of sync with the Solomons race, no one wants to keep their boats down there for a week until Screwpile. Plus, racing overnight is more interesting for a lot of people who don't want to do windward-leewards in usually very light air for two days. It is certainly a new experience for me. I was going to do the Gov Cup in 2009 but instead went to Amsterdam--that would have been my first overnight racing experience & ever since, I've been unable to participate in either Solomons or the Governor's Cup because of scheduling reasons. So now it looks like at least I'll be doing Solomons & quite possibly Gov Cup this year--so new racing experiences for me after so many years. I've sailed at night quite a bit, but no racing. There will be a full "super" moon for this race--how cool--at least we'll have some good ambient light--there can be many hazards: long tows--barges attached to tugs with a very long towing cable, fishing traps that according to Xing Fu can swallow your boat right up, unlit buoys, etc., always need someone on watch for these things but I'm thankful for the full moon & moonset isn't until 5:00 AM~lucky us. 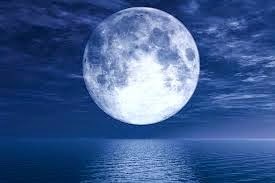 Wind is predicted to be light & we should be beating(close hauled) most of the way, but looking at the stars, the moon, the water--the quiet, nice. And, it is my birthday on the 12th as well! How auspicious--Cancers are ruled by the moon & on my birthday there will be the super moon. Now I can get all horoscope-y & talk about how Cancer is a water sign-I'll be sailing, the super moon, & Fun!